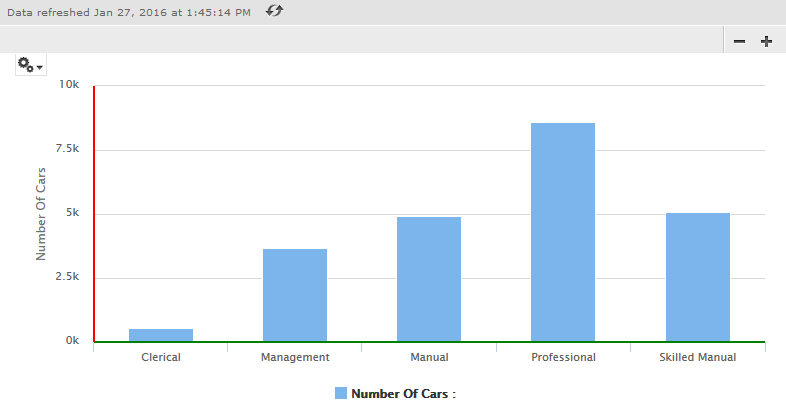 This tip is useful for quick development of text field based complex reports. 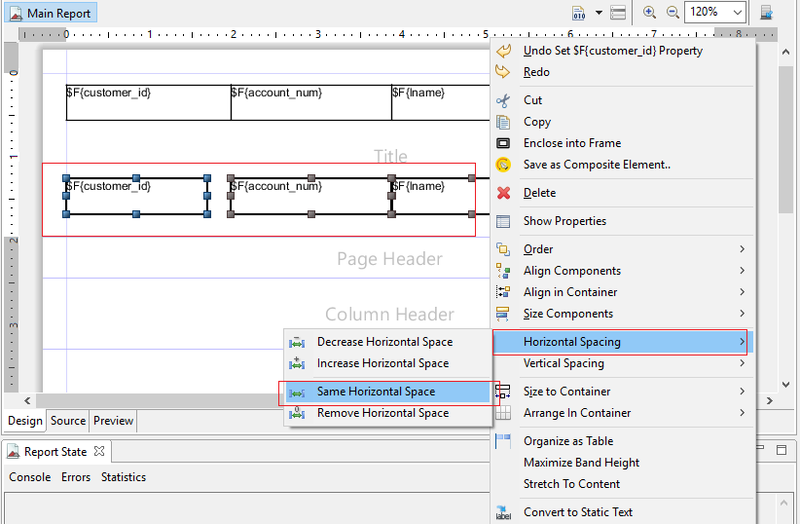 Are you tired of adjusting vertical or horizontal spacing between two or more textual fields ? We have Horizontal Spacing and Vertical Spacing options in Studio. There are 4 types of utilities available for each. When you have 100's fields horizontally and want to make the width 120 and equal distance for all the cells you have to perform below. 3) After selection of all fields Right click on any cell and click "Horizontal Spacing" and then click on "same horizontal spacing" option. 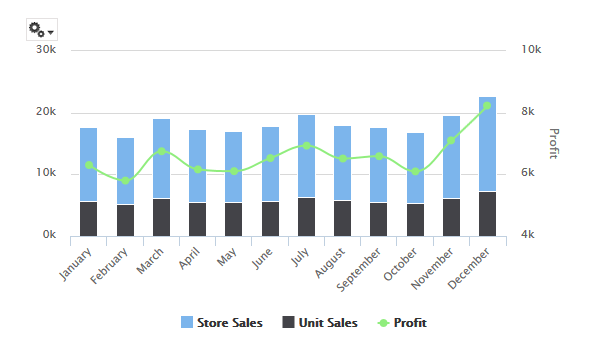 As of Jasper 6.2 we do not have donut and semi donut high chart visualizations in it. Using the available semi pie/circular chart and pie chart, we can convert them into semi donut and donut visualizations. 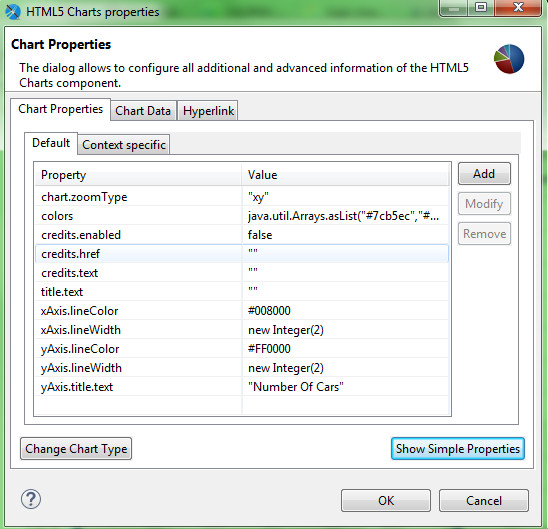 Kindly note that, this post will not tech you how to work with html-5 scripting but will tech you how to grab the properties from highcharts API and make use of them in Jasper Design Studio. For doing it, we need to add series.innerSize=80% property in "Advanced properties section of both charts. (don't tick the check box). Current example tested on : J.D.Studio Pro 6.2 and J.S 6.2 Pro . NOTE : Click the images to get the best view of the content on them. 1) Properties set on semi circular chart. I have also played with few other advanced and simple properties of semi circular & pie chart and would like to share the purpose of property and how the end use get benefited from it. You can find all the properties in above two images. 1) Selection of Slice (Slice will be separated from center) - This is useful for drill down reports - End user can easily understand on which slice he/she clicked. 6) Percentage and Value in Tool tip. 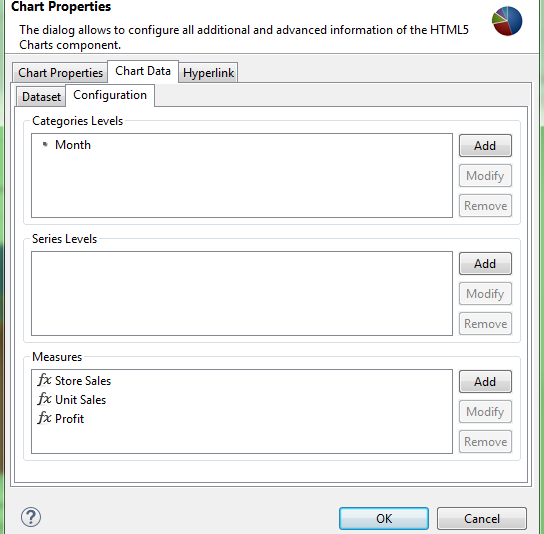 This post will give you the tip of setting Advanced properties to display the Category Axis (X-axis), Value Axis(Y-axis) in HighCharts of Jasper Design Studio. 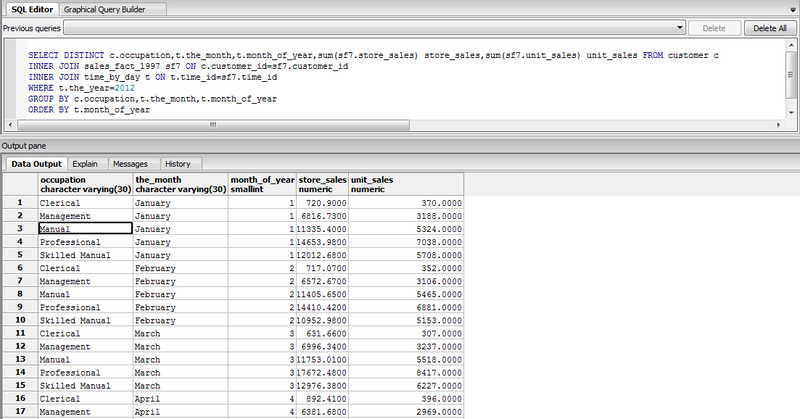 3) Foodmart database of PostgreSQL . 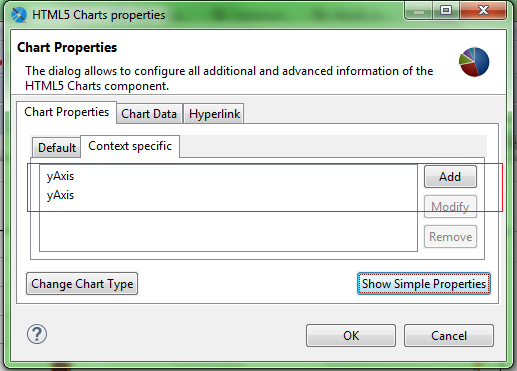 1) Click on Advanced properties of Chart and Click on Add to add below shown properties. This post is an extension of above example and gives you the tips for below points. 1) Jasper Design Studio 6.2 & Server 6.2 - both are Professional editions. 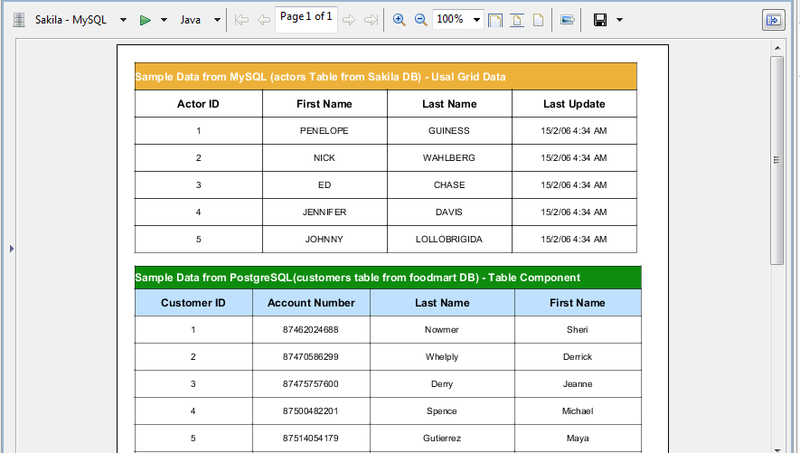 2) foodmart database - PostgreSQL server. How to tell both the axes to start with a common value ( a start point of zero) ? You will find only the core part for this. 2) Right bottom corner click on "Show Advanced Properties"
3) Among the 3 tabs be in "Chart Properties" tab and inside it click "Context Specific" tab. (If you have multiple axes you should give different default value say 1 or 2 or 3 for Y-axis2, Y-axis3, Y-axis4 repsectively). 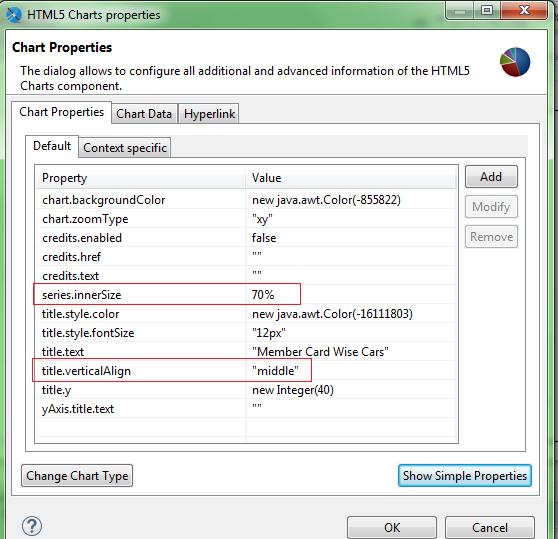 # Give properties like min, max, title.text and etc taking from HighCharts API. 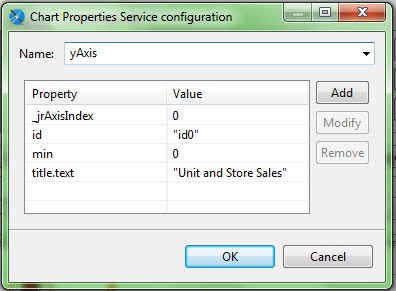 The property linkedTo=0 will link axis values properties from Y1-axis to Y2-Axis. Use constant Value =id0 (with out double quotes). Use constant Value =id1 (with out double quotes). Sample output (With the above explained properties). Chart engine implementations vary from tool to tool to visualize data on graphs hence we have to build our result set from querying technologies to adapt it by the graph. 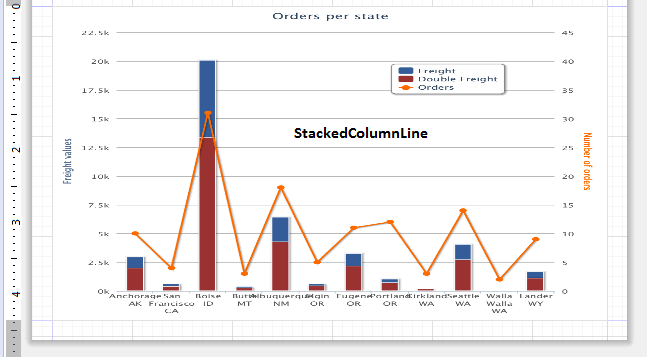 In jasper your query format for dual axis (Stacked bar + Line) should take below query format. i.e., the chart will take 3 measures . In this example I have taken 2 measures and caluculated 3rd mesure as profit by using first 2 measures. 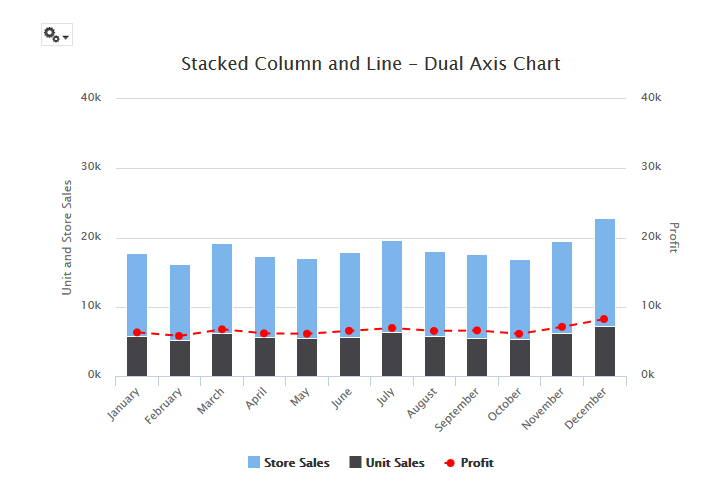 Drag and drop the StackedColumnLine or StackedCo..Spline chart and give chart data properties as shown in below two images. Publish it the server and view the output. 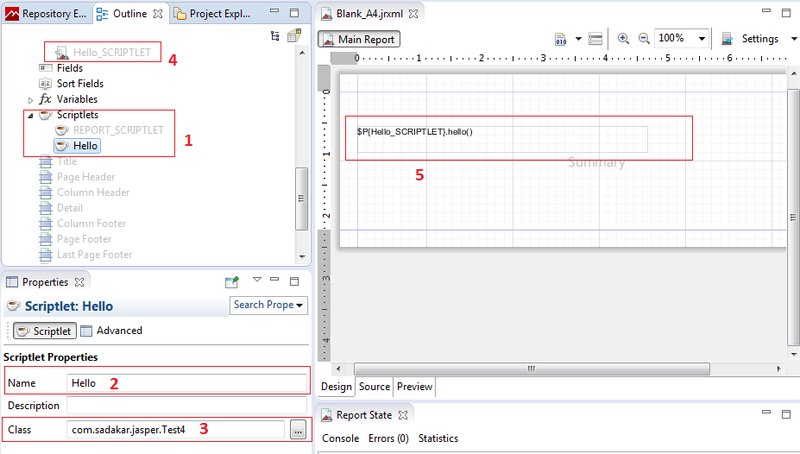 Sample output will look as shown in below image. Aim of the tutorial : Print "Hello..." information on summary band. File -> New -> Project -> Java Project -> Give Project Name as "Test"
We can not run the class as Java Application. To run it as a Java Application it requires main() method. Right click on the "Test" Project -> Export -> Java (JAR File). I have given jar file name as "test"
6) Make use of Custom Java Code from the exported Jar File in Studio - How ? iv) Right Click on "Scriplets" and then click on "Create Scriptlet"
v) Give Name="Hello" and Class="com.sadakar.jasper.Test4" (with out double quotes). in "Parameters" node. Here it will create "Hello_SCRIPTLET"
7) Save , Compile and run the report. Create reports, views, dashboards and gain insights from any Cloudera Impala data, no matter how complex. This video walks you through connecting to data, building a domain and creating views on top of the data by non-technical users. Create reports, views, dashboards and gain insights from any MongoDB data, no matter how complex. This video walks you through connecting to data, building a domain and creating views on top of the data by non-technical users. Copy paste this code in your JRXML source code and observe the "Dataset1" data source parameters and connections as well the main report query and its connection. How to get the same output in the Jasper Server ? By creating Virtual Data source defined in Jasper Server and pointing out the report to use this data source. 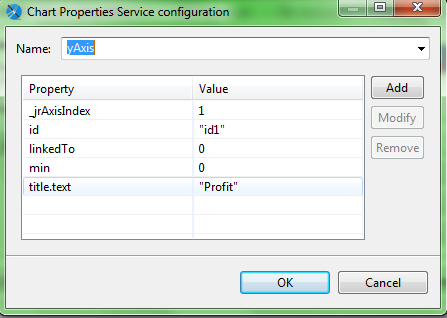 NOTE : Virtual Data source concept is an enterprise feature in Jaspersoft BI. This post will give you the inputs on how to get the non rounded(exact values) after decimal points for Double or Big Decimal types in Jasper Reports/(Java). There are situations in reporting to display the exact values after decimal point for some purpose. The above implementation in JAVA is pretty easy but in jasper it would be a tricky as shown in below examples.